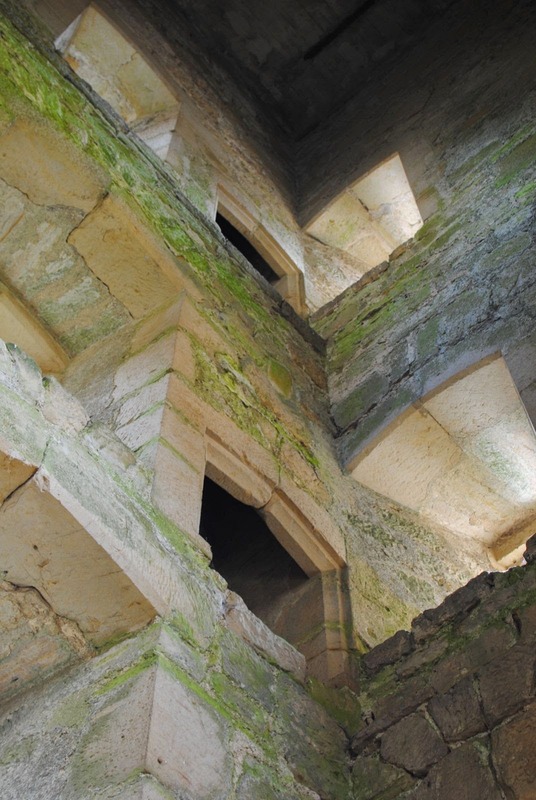 Richard Elliot's Blog: East Sussex Weekend: Bodiam Castle, Smallhythe Place and a proposal! East Sussex Weekend: Bodiam Castle, Smallhythe Place and a proposal! Having missed a few opportunities to propose on the Saturday, Sunday had to be the day. I knew that if I left it unplanned, as I had done the day before, the day might slip away and it could be a service station on the M20 in the way back to London at the end of the day. Deciding that a service station might not be the most romantic venue I resolved to propose before we left the B&B that morning. I woke an hour before Becks and it was a restless time waiting for her to wake. The proposal itself passed in a bit of a blur. I thought Becks would have been expecting it (I hadn't been thinking of much else all weekend), but it seemed to be a genuine surprise with Becks only working out what was going on when I said her name. There were tears, joy and a yes! We decided that the first people we should tell were our parents, so spent the whole day keeping the most amazing secret to ourselves. Once we'd checked out of the B&B (Did you enjoy your stay? Yes, we got engaged!) we headed down the hill to Bodiam Castle. Already bustling with tourists on a hot summers day, the ruined castle is a popular attraction with kids. We spent around an hour looking round the castle and climbing up a couple of the towers to see views from the roof of the local countryside. East Sussex was looking glorious in the sunshine with golden tinged fields, oast houses and the river Rother all within view. Having sampled a carafe of English wine the previous night we decided that it might be fun to visit and English vineyard while we were in the middle of a prime growing area. We headed across to one of the best known vineyards Chapel Down. We were a little disappointed by Chapel Down. There were no grapes in sight of the visitors central and the shop had the feeling of a generic deli. Their wines weren't particularly prominent when you walked in and much of the produce wasn't local either (we spotted flour from near my parents in Oxfordshire). After a quick spin round the shop we walked down the hill to our second National Trust property of the day, Smallhythe Place. The Sixteenth century house was originally built by a ship builder, but was most famously owned by Ellen Terry an actress (I'd never heard of) from the late nineteenth and early twentieth century. We joined the garden tour shortly after arriving and had an interest walk round the garden where we were told about the history of the house and Ellen Terry as a person. Part way through the tour the heavens opened and we had to shelter under a tree in the orchard for a while. After a the garden tour, rather than go back to the house, we decided to visit the next door church which was having a flower festival. Hungry, we had a late lunch in a marquee which had been set up next to the church before going inside to look at the flowers. It was the five hundredth anniversary of a major five in Smallhythe and the flowers had been done in vibrant reds and yellows in reflection of the fire. It was an excellent display for such a small church. We completed our visit to the church with a slice of cake / dessert back in the marquee. As the heavens opened once again we decided to end our rather special weekend in East Sussex and head back to London. Oh my goodness! Congratulations!!! And what a regal place to do it all in. Toast to you both!